The General Practice and Community Service is all about supporting primary health care teams to provide the highest quality care to their patients. Through this service Pegasus Health plays an important role in making sure health needs are met across the communities, cultural groups, age groups and in the geographical areas that it serves. 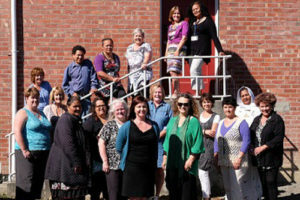 Māori, Pacific and CALD Health Managers who work with communities and our services to make sure services are responsive to their unique health needs. Health promotion – a range of healthy eating/lifestyle programmes. Suicide prevention – a dedicated role that leads, coordinates and implements a range of suicide prevention activities designed to reduce the number of suicides and attempted suicides in Canterbury. Child Health Liaison – frontline team supporting children (and their families) who have emotional and behavioural issues. Partnership Community Workers (PCWs) – support people to connect with a general practice by addressing barriers, including financial, literacy and transport. Step Up Programme – Navigators support clients on a Health Deferred Benefit return to work by addressing health issues. Practice Support Liaison (PSL) – people in this team work closely with general practices offering support and a contact for sharing information directly from Pegasus Health. Programme Co-ordination – this team manages a range of services, from funded programmes through to clinical and technical programmes. Examples include Smoking Cessation, B4 School Check, Immunisations and Diabetes. Residence Youth Health Service – this team supports children and youth living in the Oranga Tamariki residences of Te Puna Wai o Tuhinapo and Te Oranga. The team provides primary health care to these young people who are unable to obtain health care in the community because of the secure or semi-secure nature of these residences. The service is nurse-led with the support of nominated General Practitioners. The Clinical Quality and Education Team provides primary health clinicians (GPs, NPs, nurses and pharmacists) with independent, robust, evidence informed education that allows them to compare health practices and talk about their own experiences. Integrated Family Health Services supports general practices and their community partners to deliver a better patient and staff experience, improved quality of care and greater business efficiency using a continuous improvement framework. Management Services Organisation administers services, including practice contracts, payments and reports.